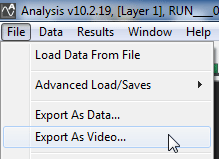 Exporting videos with data overlays has been greatly simplified in version 10 Analysis Software and now only requires a couple of clicks. Select the graphical overlay style that you wish to use, there are many predefined types, or you can edit/design your own using the editor. There is more information about using the editor here. 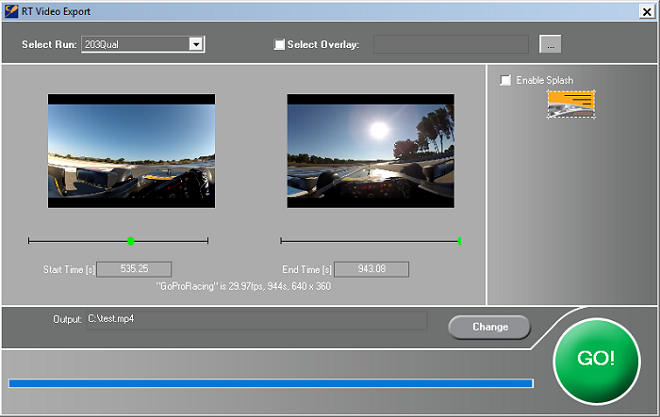 The program will then generate the video and output it to the required location.